After 15 years in the Army serving with the Royal Signals I needed to choose my second career path wisely. I wanted to work for my self doing something that I enjoyed. After what seemed months of decision making and research I decided A1 Safe and Secure was the training provider for me. A1 Safe and Secure provide locksmith and uPVC courses and I enrolled on the 3 week locksmith course which provided a level 3 NCFE qualification. The course was going to be the main decider whether to follow this career path or stay within communications. Bob Curry taught the subject at the right level and made what is complex very easy to understand. There was a mix of theory and practical to get you to a stage being confident to open and deal with the situation. The course also covers the business aspect of setting up with all the pros and cons of running a successful business. After the course I felt that I could successfully deal with situations however that comes down to personal drive to succeed. I created my own business iCE-Secure and went live the day after I was discharged out of the Armed Forces. The work has been slowly coming through and I expect this to pick up once i’m fully established. I thoroughly enjoy my job and i’m loving being the boss. I would highly recommend A1 Safe and Secure on course delivery, content and both Bob Curry and Shelley for making the effort to treat you with the utmost respect. I had to re-train due to injuries in my past career, and after deciding that I was most interested in the profession of Locksmith, looked carefully at all the training establishments, their courses, and costs. I decided upon training with A1 Safe And Secure (Proprietor Mr Bob Curry), as his is the most comprehensive training available in the country presently, and for a three week duration, certainly offers the best value for money, plus tutoring from an extremely experienced Locksmith. I received my tuition one on one with Bob in November 2008, and I successfully assimilated all the necessary points needed to start practising as a trading Locksmith within the first two weeks in the Workshop. This included everything from servicing jobs such as morticing locks into doors, to gaining entry to properties non-destructively. On the more exotic side, I managed to pick open a safe on the first day of week two! Week three I was seconded on detachment for ‘Field Training’ to a Locksmith company in North Wales, where I had (literally) hands-on experience of all the day to day tasks of the business. During this time I was being continually assessed with regard to how much knowledge I’d taken on board, and not just the tradecraft, but also Customer Relations, and all aspects of running a business successfully. I regard my training as first-rate, and wouldn’t hesitate to recommend A1 Safe And Secure to anyone looking for the best possible grounding in the Locksmith profession. On august 2008 I attended A1 Safe & Secure 3 week locksmith course. I choose this course because it was unique. I had spent a lot of time searching for a Locksmith course, but most courses only gave 3 to 5 days tuition and did not give you the opportunity to work with an accomplished locksmith in the field. I believe that it is not possible to learn this trade in 5 days I also don’t believe you can learn this trade in 3 weeks, but what this course is unique for, not only the relaxed class room atmosphere, the experience of Bob Curry and how he explains in depth of every scenario, but the help he will provide you when you’re running your own business with the help line. This course also has a very unique attribute the field training. I received my field training around Chester & Liverpool. My field trainer was very friendly and informative and gave confidence in my ability to become a locksmith. I once worked in a very mundane job, and now I am running my own business in Wiltshire. This course has provided me with the fundamental skills to become a locksmith. Have been up and running since November, just a few weeks after completing your course. Having done the course with you over 3 weeks and also a 5 day course somewhere else, there is no comparison. The longer training period was definitely more beneficial. Once again thanks very much for your time. Having been trading now for just over one year I would like to express my time spent with Al Safe and Secure Locksmith Training Centre. After researching the market for some time I came across this centre and what appealed to me was they were ex-military (I knew that I would understand the teaching methods quite easily) and that they also provided training in the field (in hindsight an essential ingredient of the course) and last but by no means least the length of the course. I dread to think how other available courses can teach that subject matter in two to three days. This course was two weeks with an additional week in the field (out there working as a locksmith). The course content was very detailed with a lot of ‘hands on’ coupled with power-point presentations and instructor demonstrations. Students soon became efficient in lock-picking, making keys and really understanding the internal mechanical operations of all types of commercial and domestic locks. Throughout the course references were made to actually starting your business and maintaining it along with handouts and course notes. To this day I still use these notes. Each day ended with confirmation of that days training and each day started with revision from the previous day. The field training was absolutely priceless. In relation to dealing with people and customers it was vital training within the programme. Actually doing the job at a customer’s residence or commercial premises confirms all that you have been taught in the classroom. It also teaches you the importance of stock control and how you should maintain your paperwork. As I had just left the military I was very nervous because I was about to put my all into a new career which was going to be invented, managed and maintained by myself. After the first day’s induction and training, these nerves had gone. That’s when I knew I had made the right decision. I now have a viable business and have been accredited with awards through sheer hard work and effort. I have also personally developed my locksmith knowledge by studying at different training centres around Ireland, England and Spain. All of which I learned of through Al Safe and Secure. A truly remarkable course that provides you with everything in order to launch a new career. I would like to take this opportunity to express my opinion regarding the quality of instruction, level of knowledge and learning environment received at A1 Safe and Secure (SAS), Hereford. Quality of Instruction: It is my opinion that anyone looking to complete a course in Locksmithing; either as a complete beginner or an established locksmith looking to widen their skills base would not find better instruction than at A1 SAS. Mr Bob Curry, a former Special Air Services Senior Non-Commissioned Officer, carries out each lesson with a proven methodology of ‘explanation, demonstration, and practice’ this creates a sound knowledge platform, that can be built on, to take his students’ learning further. Explanations are clear and concise, while demonstrations are methodical and full of useful tips. During the students’ practice Bob is on hand to answer any questions, provide further demonstration (if required) and explanation of the practical, on-the-job, application of the lesson. Level of Knowledge: This subsection can be divided into the knowledge of the instructor and the knowledge gained on the course. As the Senior Instructor, Bob Curry, has a wealth of knowledge; gained from serving within the Special Forces and his subsequent civilian role as a locksmith and instructor. He has many years practical experience and similarly has ‘time-served’ as an instructor. Having designed locksmiths’ tools and with virtually every type of pick, key, machine and most importantly technique to hand Bob is the complete almanac of locksmithing. The instruction on the course imparts grounding in this knowledge; the course syllabus states the areas and lessons covered. However, I can, hand on heart, state that when deployed on my field training, I was fully prepared by the course for all queries and problems that I faced. Also the 24-hour help line allows you to tap into Bob’s know how at anytime, if you find you have exhausted your own knowledge. Learning Environment: I have touched on the technique and resources available at A1 SAS, Hereford. I have attended many Military and Civilian courses from technical, though physical to academic. Bob Curry has the respect of those around him, students, colleagues and ex-students (now successful Locksmiths) this is due to the manner in which Bob conducts his business. The atmosphere is of relaxed concentration; despite learning a completely new skill you feel at ease with what is being taught and I, in particular, came away every day with the feeling of satisfaction that comes from learning that new skill without cutting corners, without any niggling questions at the back of my mind. The environment is set for learning and every conceivable tool is available. This was incredibly useful when selecting a ‘tool list’ for your own van. It is pointless buying an expensive lock pick only to find that you cannot get on with it. At A1 SAS, you are able to try before you buy; as Bob has either bought it already…or had designed it!! Even now as an ex-student I would be welcome to visit the unit and could as for assistance or look to polish up on new techniques. All in all I am thoroughly satisfied with the course, I must also mention the field training; this is invaluable experience in the practicalities of setting up your own business and the problems that you may face. As a renowned scholar once wrote “it is always better to learn from someone else’s mistakes” the field training allows this. I feel that I have the knowledge, the tools, the skill-set and the ability to answer most Locksmith problems that may be thrown at me, and for those that I cannot answer Bob is at the end of a phone. That makes the A1 SAS Course unique, and in my opinion the best Locksmiths course in the country, plus successful students are Nationally recognised and certificated. Many thanks go to Bob Curry and his team for what will hopefully be, for me, a fantastic career change. All of my future employees will be have to complete the A1 SAS Locksmiths Training Course. I’m not going to list everything I did on the course I took, as the A1 team are constantly upgrading using the very latest techniques. So what I will tell you is what isn’t really said on the website, things like spending half a day with an accountant specialising in locksmith accounts which was a huge help in starting my own business, spending a day in a local scrap yard for advanced car and van opening skills, spending a week with a field trainer who is a qualified locksmith running his own business going on jobs as varied as car and shop entry to letting in the gas board so they can change meters on default accounts. I must also praise the back up you get with A1 Safe and Secure. I know that if I get stuck at two in the morning on a particularly difficult entry I can call Bob, the main tutor, and he will help me in any way he can. You’re not just cut loose with a dodgy certificate and a cordless drill like some of these cut price locksmith courses, you get what you pay for. Yes its not cheap, but is it the best locksmith course with the best back you can buy? In my opinion it is and has guaranteed my future and that of my family. This reference is given freely and if you need to ask me any questions then please don’t hesitate to phone or email. After 27 years in the Military I found myself unsure what I wanted to do for my second career. After enquires to numerous locksmith companies and evaluating all they offered, I finally chose A1 as my training supplier. Of all the training providers I questioned over many telephone calls I found A1 to be helpful, honest and forward, readily giving good solid advice (an area many companies fell short with). I found the booking process with A1 completely painless, they organised everything for me including accommodation.From the start the staff where approachable, friendly and helpful. Instruction was clear and concise with the pace set according to student abilities. Every step was explained in detail, demonstrated by the instructor before sufficient practice time was allocated, “day one and we were already picking locks…”Throughout the first 2 weeks we were taught all the skills required, following a detailed training program and the instructor imparting his many years of experience and wisdom (priceless information you just can’t buy!) This instruction included classroom, theory and practical periods. Not content with just teaching lock picking skills we were taught how to fit and repair locks, what tools to purchase, how to lay out a mobile locksmiths vehicle and just as importantly how to actually set up and run a self employed locksmith company. This included advice on purchasing, costs and setting up accounts. The final week of instruction saw attachment to a field trainer (a qualified trading locksmith). Again A1 arranged all the details including accommodation! This week working with the field trainer brought together the previous 2 weeks of instruction and served to not only confirm my skills but had it’s own field training program, again furthering my knowledge base and skills. I found the course excellent, hands on from the start with firm supportive guidance given all the way. The course gave me a nationally recognised qualification and best of all once you have completed the course A1 offer you support and advice 24/7 indefinitely, what more could you ask for? In all my pre course research I could not find a company that provided equivalent training or the after course support A1 offers. If you want a complete career change or just to further your locksmith skills I fully recommend A1 as your training supplier. Look at the other training providers and what they offer then look at A1, there is no comparison. I recently had the good fortune to be able to attend a training course run by A1 Safe and Secure,down in Hereford. The comprehensive course was run by Mr.Bob Curry. Upon arrival at the training facility on day one, we were greeted with warmth, then intoduced to the other students. This was followed by instruction in the course Health and Safety requirements and a mini tour. The teaching methods used by Bob are by far the most effective that I have ever witnessed, in fact I would go so far as to say that had I been taught with his methods earlier in my education, then I don’t think that I would ever have ended up driving lorries. If Bobs methods are good then his choice of Personal Assistant is truly inspired. Sarah is most professional and yet still approachable, caring for all of their students miriad of problems and concerns. I cannot praise Bob and Sarah high enough, a superb package that delivers not only a paper qualification, but an individual competant enough to go ahead and provide a service to the general public. Rumours are abounding that certain other supposed Locksmith training facilities are trying to align themselves to create a benchmark qualification in Locksmithing. We already have one, its the N.C.F.E. standard as taught by Bob. The most worrying trade anomoly has to be where a certain “cowboy” outfit is offering City and Guilds qualification for approx £3k down and a mere 3 days attendance. Surely this is the issue which should be addressed. Personally, i’m looking forward to attending further courses with Bob (and Sarah) in the future. Excellent and enjoyable locksmith course. The course was taught at the right pace with plenty of hands on opening and fitting all locks. Looked into some 3-5 day courses and then heard about the 3 week course that A1 Safe and Secure had on offer. Glad I went with them as don’t know how you can learn to become a locksmith in 3-5 days. Had a valuable last week spent with a working locksmith going out on jobs etc! Would definetly recommend A1 Safe & Secure if you want to work as a locksmith, well worth the cost! I’ve been up and running now for 4 months and with the confidence I received after doing the course things are going very well. In 2009 I attended A1 Safe & Secure 3 week locksmith course. This is unique as most courses only gave 3 to 5 days tuition and did not give the opportunity to work with an accomplished locksmith in the field. I believe that it is not possible to learn this trade in 5 days. I also don’t believe you can learn this trade within 3 weeks, but what this course is unique for, not only the relaxed class room atmosphere, the experience of Bob Curry and how he explains in depth of every scenario, and the help he will provide you when you’re running your own business as well as the 24-hour help line witch allows you to tap into Bob’s know how at anytime, if you have exhausted all your own knowledge, this is priceless. As I was unemployed at the time I was very nervous about to putting my all into a new career which was going to be managed and maintained by myself but after the first day’s induction and training, these nerves had long gone that’s when I knew I had made the right choice. This course has a very unique attribute….the field training. I received my field training around the London area and my field trainer was very friendly and informative and gave confidence in my ability to become a locksmith. The longer training period was definitely more beneficial and I’m now running my own business in Norfolk. This course has provided me with the fundamental skills to become a Nationally Certified locksmith. This makes the A1 Safe and Secure Course unique, and in my opinion the best Locksmiths course in the country. Many thanks go to Bob and Sarah for what will be, for me, a fantastic career change … All of my future employees WILL have to complete the A1 SAS Locksmiths Training Course. I give this reference freely and if you need to ask me any questions then please don’t hesitate to phone or e mail. Having been made redundant from my previous job I decided upon taking up a career choice as a locksmith, having spent a lot of time researching various courses on offer I decided upon the A1 safe and secure course in Hereford. The course is heavily practical based , which meant I wasn’t falling asleep in boring theory lessons! I learnt so much from the 3 week course, the 1st 2 weeks are spent learning about EVERYTHING involving locks – fitting, maintaining, picking, non destructive entry. The training is then put into practice in week 3 where I was completing real jobs to gain my confidence, after the course is complete I now have many people I can call upon for help in the field which in itself is worth the course fees – definately recommmended. 5 stars! Having completed the intitial locksmith course I saw this as a helping guide when dealing with UPVC doors with my normal day to day locksmith duties, having completed the course it is so much more, this is another string to your bow and will earn you extra money because you can provide a cheaper cost effective solution to upvc problems to residential and business customers alike. You will learn about mechanism faults of door and window openings and how to overcome them, how to measure up and change panes of glass and most importantly how to make more money!. Den the course tutor does a great job and never leaves anyone in the dark (I was struggling a bit and was a little bit behind the rest of the class), having never touched a pane of glass in my life before I now have a lot of confidence in this field. Once completing the course you will have round the clock over the phone support. Having completed the A1 Safe and Secure locksmith training course last year i felt i needed to carry out further training for when i eventually start up. The UPVC package is the perfect accompaniment to a trading locksmith. Den’s teaching technique is easy and relaxed. He allows the student take in all the lesson content before moving on to the next stage,twinned with good hand outs and plenty of hands on practice. A great course, however if Den challenges you to a naam bread eating contest then refuse. I write to thank you and your organisation for presenting such an excellent training course I recently attended. During my career in senior management over the past 25 years or so, I attended numerous training courses and was also responsible for arranging employee courses in order to help business growth and their careers. Now I am along a different career path and having been on the course am in a position to say it far exceeded my expectations and the work has already started to come in, to which, I put my new skills to use without any problems whatsoever. I would also like to say that in my opinion Dennis possesses excellent presentation skills and unlike other courses you could ask him absolutely anything you are not quite sure about (without feeling stupid) and he was more than happy to explain in detail. You could not ask for a more knowledgeable or nicer person! ear Bob, Kate & all involved with A1 Safe and Secure. I am writing to thank you for all the help and advice you have given me in starting out on my new venture as a sole trader locksmith as I leave the armed forces. I looked at several companies who claim to be able to teach the art of locksmithing, some in as little as five days, AMAZING!, however the course I did with yourselves was by far I believe the best one I could find anywhere and it was for three weeks, I definitely made the correct decision knowing that I have been trained by professionals and knowing that there is a 24 hr helpline available if I need it, which I have used once already and the advice I received from Bob proved to be a lifeline, as we all know after three weeks I am still learning, however I don’t think I would have had as much confidence after just 5 days, also the one week field training that I received with A1 SAS proved to be an excellent end to the course, putting into practice everything I had learnt in the classroom with a qualified trading locksmith on the ground, with him giving me tips and advice on running my own business. Coming back to A1 SAS and doing the 2 day UPVC Window & door repair course taken by Dennis Manning was also a wise choice I believe, it has added an extra bow to my bonnet and I have already spoke to Dennis over the phone a couple of times asking him for advice which he has given me straight away in the same way Bob did. All in all I am extremely glad that I did my training with A1 SAS, the whole course was run in a professional yet relaxed atmosphere. The end result was that I came away feeling confident to run my own business as a locksmith with a nationally recognised certificate of qualification. Many thanks to Bob and all the team at A1 SAS I hope to keep in touch and let you all know how my new venture pans out, I will be advising your course to anyone who asks. May I take the opportunity to say how much I enjoyed your locksmiths course. Having attended other locksmith courses in years gone by I am able to say the quality and sheer content of training that you provide is far superior to anything else on the market. In order to assist my move to New Zealand and also as a fall-back option in case I have to stay in the UK longer than planned I decided to train as a locksmith. The way I see it everyone needs locks of some kind so there will always be a demand for people to fix them, thus money to be made. After having researched alternative locksmith training providers I settled on A1 Safe and Secure as a result of a thorough recommendation of a fellow mess member here at 30SR who attended a course run by you in 2011. The face that you are a CTP preferred training supplier was heavily influential in my decision – such recommendation is hard earned and most impressive. I enjoyed all aspects of the course, in particular the fabrication of keys using hand tools and the lesson on the historical development of locks / keys. Inclusion of the UPVC element was essential in my development as a locksmith, encompassing an ever-increasing element of the trade. The third week, spent with a field trainer (Ian Murphy of A1 Care Locksmiths) was most enjoyable and invaluable. It is all very well being able to attend to a lock in a nice warm workshop, but it is something quite different to be able to put the skills learnt into practise with multiple distractions, such as inquisitive children and barking dogs in the rain, coupled with failing light conditions. 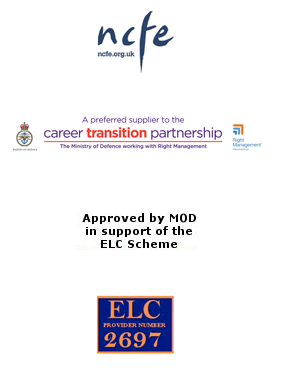 Using the trusted method of instruction known as Explain, Demonstrate, Imitate and Practise (EDIP), the EDI element, having been delivered on your premises at Ravenswood Court, and the P element being covered by the field training phase. A1 Safe and Secure has given me the skills I need to start up my own locksmith business and start earning serious money. Over the last four years of my army career, I had been meticulously planning and looking forward to building my own business as a locksmith. As part of my perpetrations, I began to research training opportunities that would provide me with the necessary skills for my business. As a result of my research, I discounted the 2-3 day courses, in favour of a 3 week course provided by A1 Safe and Secure. My rational for this was, the combinations of class based theory and practice (over 2 weeks) and in the field training (over 1 week) where I could build upon my newly acquired skills, knowledge and understanding. However, any fears were soon alleviated as Bob Curry made his opening statement. From the outset, the course provided me with many interesting and enjoyable moments, such as, on day one handcrafting a key using only a hand file. For me and for many others the course didn’t just stop after the 3 weeks as Bob is always a phone call away to offer guidance and further instruction where needed. I would like to take this opportunity to thank Bob and the team at A1 safe and Secure for being instrumental in helping me shape and build a new, exciting and prosperous chapter in my life. Getting made redundant in the middle of a recession from a trade I had worked in for twenty years certainly forces you to think of your options for the future. Knowing I had to retrain as something different I started looking into different occupations, why I picked locksmithing I’m not entirely sure but I’m so glad I did. It didn’t take long to find A1 Safe and Secure locksmith training, the longest course that I could find, having no previous experience in this field this was a big plus. So day one of the training arrives and instantly I knew that I had made the perfect choice, the way you are taught is so thorough yet enjoyable, the information just flows. The practical tasks you are set are taught in a way that when under way you always know what you have to do, and there was never a time during these tasks when I didn’t know what to do next ,this alone gives you confidence which when out on your own working for yourself is invaluable. I now know that the course covers all aspects of locksmithing that you are going to face running your own business, not just locksmithing but you get to talk to an accountant about the admin side which I found very helpful. So the two weeks training were finished and now I was with my field trainer doing his jobs with him for a week, I believe no other course in the country offers this and once again it all boosts your confidence to the point where you can’t wait to start trading on your own. As with everything in life you can’t learn everything in a classroom and the jobs I was faced with on my field training just added to the knowledge I now use everyday for my business. So the training was over and the diploma was passed, the big question is could I make the business work in the middle of a recession? I had been taught at A1 Safe and Secure where I would find the work and once again I believe the confidence I had gained in training came across when I made first contact with these potential customers. I was up against established locksmiths and out of work carpenters who had turned their hand to locksmithing but it wasn’t long before the calls came in and I was “busy”. It’s not easy running a business but the one aspect where I never have a problem is the actual “lock” work and this I put down to the comprehensive training I received at A1 Safe and Secure, I also did the UPVC course after my training and this has led to a lot of work for me and if you’re going to do the Locksmiths course you really need to do this also. I love my job now which previously I never did, you just don’t know what adventure will begin when that phone rings, this course is life changing and it’s the best thing I ever did. There’s no guarantees in life and everything depends on the individual but from my experience this course has given me a comprehensive knowledge and a way of thinking and I intend to become the best local Locksmith in my area, something that when I first came upon this website couldn’t have been further from my mind. So if you want to pick locks with a smile on your face while getting paid for it, this is the only course for you. I attended the Competence in General Locksmith course at A1 Safe and Secure as I was wanting to change careers. On arrival, I met the team and was remarkably impressed with the set up. Throughout the course the standard of training was very high and I gained a thorough knowledge of the subject. Bob’s approach to teaching was friendly but detailed and I came away from the course with a very comprehensive understanding of the practical and business side of being a locksmith. One of the reasons that I picked this course was tha the two weeks in the workshop was followed by a third week in the field applying all the knowledge that I had gained. I would highly recommend anyone thinking of training to do so with A1 Safe and Secure. I found A1 Safe & Secure Locksmith Training to be the best Locksmith training in the country by far. I had researched various other locksmith training courses from the Resettlement magazines and the internet and despite all of them claiming to offer the best training, I had my doubts. There is no way that you can learn a skilled trade like this in a weekend or in a week, this takes a long time to train for, A1 SAS offered a three week course of which the third week was with a field trainer (a qualified locksmith) actually working on domestic and commercial properties. From the first day with the field trainer, I was thrown in at the deep end, my first job was a repossession of a shop and associated flat. Once the Bailiff had done the legal bit we were called in to change all the locks for the Landlord, enjoy it? yes I did. The remainder of the week encompassed working on domestic properties and commercial with varying degrees of jobs from composite doors to aluminium doors, french doors, full strips, gearbox changes, cylinder changes..the list goes on. To summarise, A1 SAS provided me with the foundation knowledge and skills to enable me to confidently go out there and be a locksmith. I am in the process of setting up my business with lots still to do but I am confident with all the knowledge and skills provided by A1 SAS that I will make a success of it. I would highly recommend A1 SAS for any service leaver or civilian tradesmen. I have completed my week of field training and would like to express my gratitude both to yourselves at safe and secure training and to the field trainer. I had an outstanding week with a huge variety of jobs and training experiences. I really could not have asked for more. I can recommend the work experience placement without hesitation. Absolutely fantastic experience.I chose the training course mainly due to the offer of the week’s real world training and I certainly was not disappointed. I look forward to completing the UPVC course in the near future. From the initial contact through to the final handshake on completing the course i couldnt pick a fault with Kerrie’s admin skills, Bob’s course delivery or Dirk’s field experience I would highly recommend A1 safe and secure to anyone thinking of stepping into the locksmith trade and looking for the BEST training in the country! I look forward to my next course with this company.